FEDERAL SIGNAL FIRERAY LED PERIMETER LIGHTS - 4" X 3"
The FireRay LED perimeter lights offer a variety of lighting options and sizes with a unique new look that accommodates multiple mounting applications on fire apparatus, ambulances, work trucks, and police vehicles. The FireRay series includes warning lights, brake/tail/turn, arrow, back- up, and scene lights with an optional black or chrome bezel. 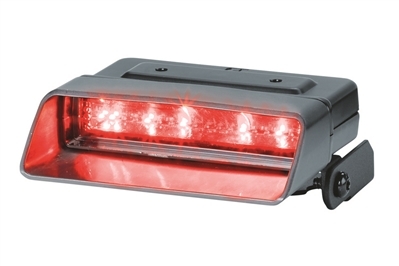 FEDERAL SIGNAL FIRERAY LED SCENE LIGHTS - 9" X 7"
The FireRay LED Scene lights offer excellent scene light options for fire apparatus, ambulances, work trucks, and police vehicles. The Latitude™ SignalMaster™ is a directional light, equipped with three-LEDs per position and Federal Signal’s Solaris® LED reflectors. The Latitude SignalMaster delivers an impressive optical performance for your vehicle. Latitude SignalMaster includes the economy SignalMaster controller that allows for easy installation. The controller operates the built-in warning signals of left, right and center-out for rear traffic direction. The MicroPulse® Ultra models have a low-profile design that offers a wider range of mounting options to fit various applications. The advanced high-output LED light head can be programmed to operate as a single unit or in synchronization with multiple MicroPulse light heads. Built-in flash patterns enable multiple vehicle perimeter lights to be either synchronized in the same pattern or in opposite sequence. 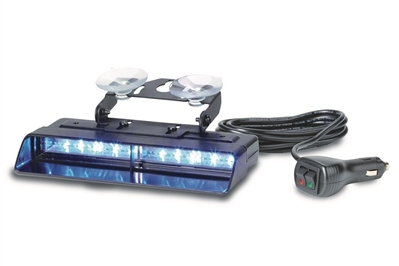 Navigator® is a linear, high-profile LED light bar that offers first responders a unique choice of using LED reflectors and LED rotators in one platform. Designed to fit the needs of multiple agencies, the Navigator options and overall flexibility can be used on fire apparatus, command/fleet vehicles, police, or work trucks/DOT. Versatile warning beacon built for a variety of applications. The e-coated and powder painted metal base of the Pro LED Beacon has a built-in permanent/1-inch pipe mount that allows for flexibility when mounting. 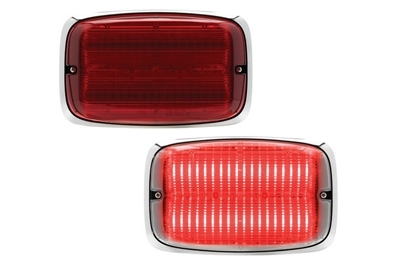 The Pro LED Beacon is an ideal warning solution for work trucks and fire apparatuses. It is what's inside that matters with Federal Signal's family of QuadraFlare® LED perimeter lights. QuadraFlares are available in 4X3, 6X4 and 7X3 standard models, therefore, no special die-cut is required to the body of your fire truck or ambulance. QuadraFlares are designed with the Solaris® LED reflector technology for superior off-axis lighting. 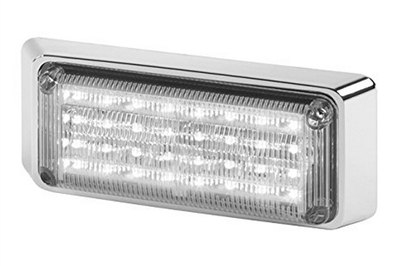 These LED exterior lights are engineered to surpass NFPA and GSA Triple-K specifications for upper and lower level requirements and carry a five-year LED warranty. FEDERAL SIGNAL QUADRAFLARE LED SCENE LIGHT - 7" X 3"
It is what's inside that matters with Federal Signal's family of QuadraFlare® LED Scene lights. QuadraFlares are designed with the Solaris® LED reflector technology for superior off-axis lighting. XStream™ is an interior mount LED warning light that can be installed almost anywhere inside a police car, fire commander and volunteer fire vehicle, or a work truck. 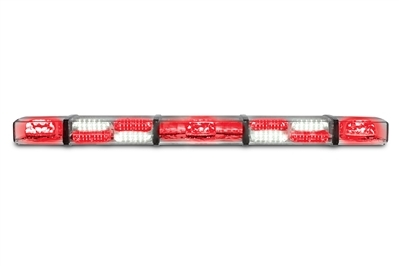 This streamline warning light is a dual head configuration and comes with a cigarette plug. XStream™ is an interior mount LED warning light that can be installed almost anywhere inside a police car, fire commander and volunteer fire vehicle, or a work truck. This streamline warning light is a single head configuration and comes with a cigarette plug. The Flare Alert LED Emergency Beacons with carry case is a great kit for First Responders and Emergency Personnel. 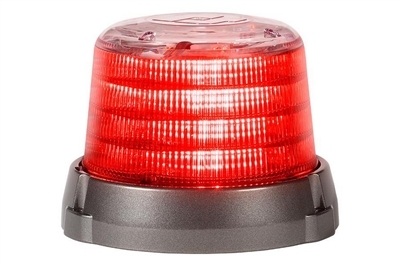 These battery - operated LED beacons are perfect for illuminating an emergency scene. Kit comes complete with 4 Flare Alert Beacons, 4 Cone Adapters, 4 Weighted Bases, 16 AA Batteries, all in a large storage bag. The beacons are durable, super bright, compact and environmentally friendly. They can be used to create a "safety zone" to keep you and the public safe. 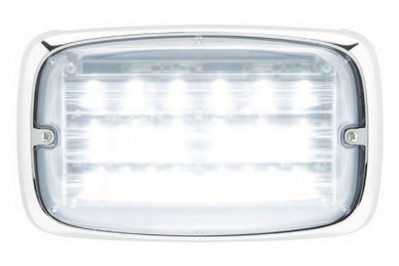 The Beacon Pro, our top-level product, is the brightest LED flare we have to offer. 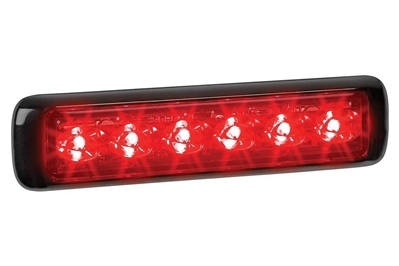 The Beacon Pro is a robust LED flare designed for frequent and aggressive use and is currently used by thousands of police and fire departments nationwide for various traffic safety applications. Available in blue, green or white. All Beacon Pro units are magnetic. The Beacon Pro, our top-level product, is the brightest LED flare we have to offer. The Beacon Pro is a robust LED flare designed for frequent and aggressive use and is currently used by thousands of police and fire departments nationwide for various traffic safety applications. Available in red or yellow. All Beacon Pro units are magnetic. The Flare Alert LED Emergency Beacons with carry case is a great kit to keep in your car or home. These battery- operated LED beacons are perfect for vehicle breakdowns, boating, camping and power outages. The beacons are durable, super bright, compact and environmentally friendly. They can be used to create a "safety zone" to keep you and your family safe. The Flare Alert LED Emergency Beacons with carry case is a great kit for First Responders and Emergency Personnel. 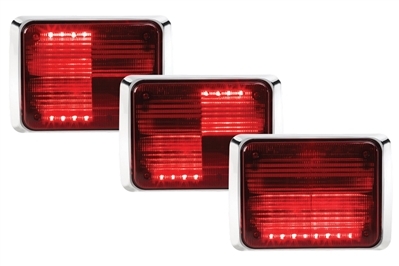 These battery - operated LED beacons are perfect for illuminating an emergency scene. Kit comes complete with 8 Flare Alert Beacons, 8 Cone Adapters, 8 Weighted Bases, 32 AA Batteries, all in a large storage bag. The beacons are durable, super bright, compact and environmentally friendly. They can be used to create a "safety zone" to keep you and the public safe. 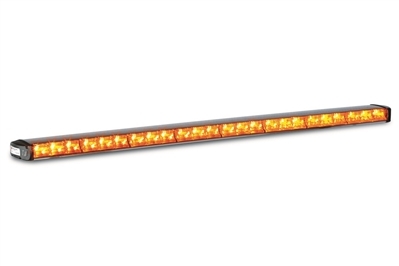 SHO-ME LED SIGNAL STICK 41"
The SHO-ME LED Signal Stick comes with 320 high-intensity amber LEDs. Blue, green, red or white LEDs are available for an additional charge. Comes with a deluxe controller with 12 selectable flash patterns, variable speed control dial & LED flash pattern indicator lights. Extra wire permits optional powering of Signal Stick (in random mode only) by remote switch. The SHO-ME LED Visor Light securely attaches to visors with built-in hook and loop adjustable straps. Available in solid or split arrays of amber, blue, green, red or white LED's. Standard or strobe pattern internal flasher.